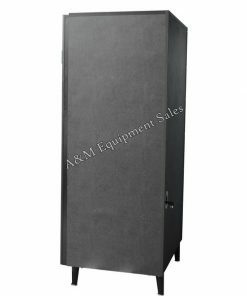 The Automatic Products 123 Snack Machine is able to vend 40 different selections and with high capacity will easily handle large locations. 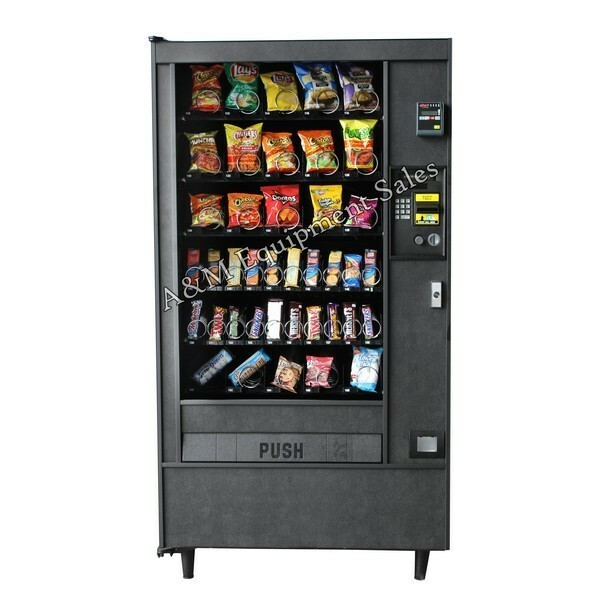 Automatic Products 123 Snack Machine is a late-model machine with the newest vending electronics “MDB” The Automatic Products 123 Snack Machine has guaranteed delivery which means your items will never get stuck on the shelves which leads to customer satisfaction. The machine can accept a credit card reader and any other new items such vend screens that tell you the calorie count of each item in the machine. It has a very sleek appearance and even has a braille key pad for blind customers. 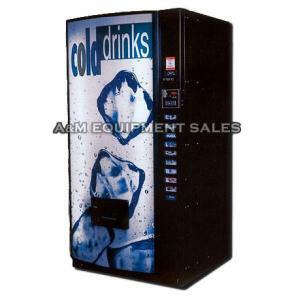 You can’t go wrong purchasing this machine. It also comes with A&M’s thorough re manufacturing process. The Automatic Products 123 Works well in large accounts with high volume. The vending machine has a capacity of over 640 items. 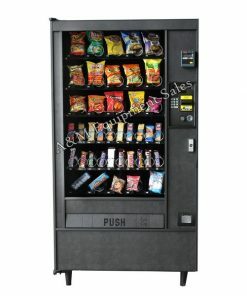 The AP 123 Snack Machine has 20 selctions of chip pastry items, 20 selections of candy-crackers and 5 gum and mint selections.